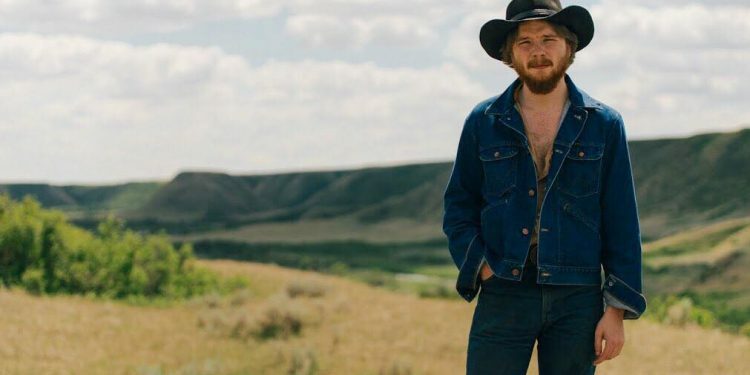 Hearing Canadian Colter Wall’s 2018 album Songs Of The Plains brought back that years-ago memory, because “that voice” is the first thing that hit me. 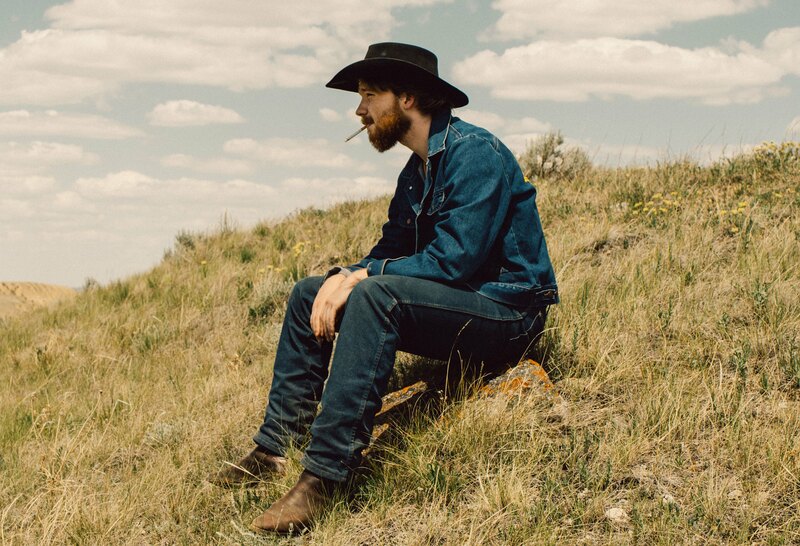 Deep and harmonious, reviewer Blake Berglund calls it “a voice fifty years his senior.” And while Tyson’s and Corb Lund’s bodies of work emanate from their home bases in southern Alberta, Wall creates song pictures of lives on the nearby plains of southwestern Saskatchewan. Wall establishes his roots in the opener, “Plain To See Plainsman,” stating that despite his far-flung travels, he’s a “homesick young plainsman.” Because “my heart it lies far from the east or west coast, the rustle of wheat fields start calling my name.” And befitting the broad, expansive, big empty plains he’s singing about, Wall’s spare album has a haunting, at times somber tone. The haunting comes through on Billy Don Burns’ “Wild Dogs,” an imagination of the lives of two feral male and female dogs bringing down a stag for food. A somber mood underlies “Manitoba Man,” a drug pusher whose cocaine “leaves every limb singing for more.” The protagonist — a customer of the Manitoba Man — has “a good gal” who has stood by him and is “the light of my life.” But when “she tells me she’s dreaming of raising a son,” this footloose guy, unwilling to commit, decides, “I’ve been kicking my feet and wandering these streets for too long,” and that he “ought to be moving along.” Before he goes, he’ll make “one last stop,” as the Manitoba Man is waiting for him “behind the filling station.” It’s a tale of a guy whose life is “moving along,” but going nowhere. “Wild Bill Hickok” is a biography compressed into less than three minutes! Coming out of Illinois, Bill became “a dead shot with each hand.” While a stagecoach freighter, Bill unintentionally startled a bear, and had to kill it with his Bowie knife. Then “come 1861, Bill donned the Union blue,” as “not unlike his Daddy, he’d see no man in bonds.” Later, Texan Phil Coe thought the Abilene marshal “a cruel and brutish yankee,” and was “put down” by Bill. Finally, Hickok’s murder in Deadwood by “the coward Jack McCall” is recounted. Now I know more about Hickok than I did before! 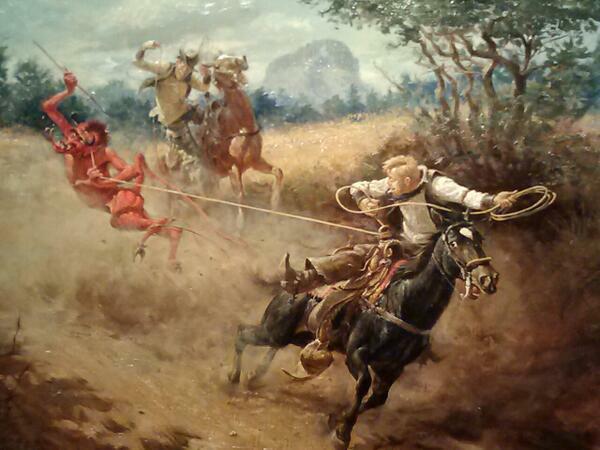 “Tying Knots in the Devil’s Tail.” Art by George Phippen. © Rick Schwertfeger, Austin, Texas, 2019. Used by permission. It’s been past too long since time for me to buy this album. You and me both. Ordering today from our local indie. I really dig this album–it draws on his own region and culture, and brings something more to the table as a result. Love the play-by-play of the album. Lots of good context here. Thanks Rick! Bought it. Ripped it. Listening to it in the car on our way back north from Paso Robles. Another good rustler song is Night Guard, from the much-lamented Stan Rogers. Gotta love a good rustler song.